Disclosure: Link to Ghost Cats on Amazon is an affiliate link. I will get a small commission if you click through and purchase it. Let’s all gather around my Halloween candle and listen to some ghost stories! Don’t worry, the candle is battery operated so you won’t singe your fur. 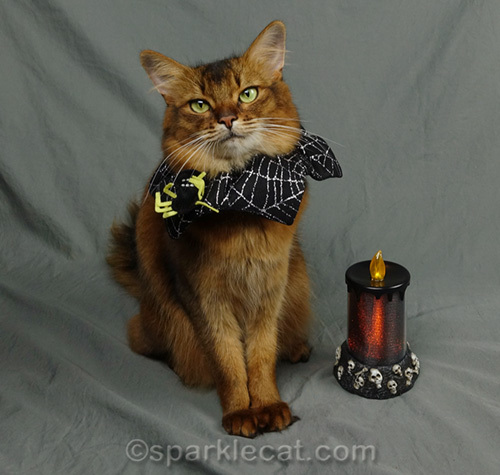 You will really enjoy these ghost stories because they involve cats, and they are all true life tales!Â Veteran cat writer Dusty Rainbolt compiled and narrates these spine-tingling stories. Dusty didn’t come by her fascination with the supernatural naturally. It took a kitten she tried to save, and lost, to turn her around on such things. 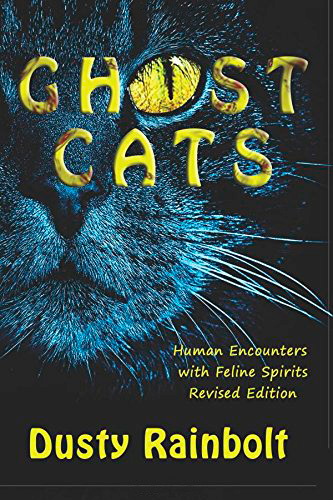 You’ll find Maynard’s story in the Introduction of Dusty’s book, Ghost Cats: Human Encounters with Feline Spirits… and dozens upon dozens of other fascinating and often heartwarming (in a spooky way!) 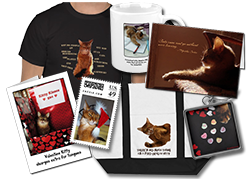 accounts of beloved felines returning to say hello… and good-bye. In Ghost Cats, yes, you’ll find stories of the pitter patter of ghostly cat feet, or a comfy cat-sized indentation on a bed… with no living cat visible. But you’ll also find unique stories. For example, the feral, Little Joe, who returned, post-mortem for a special photo op. Or Felicia, the Siamese who still haunts her Kitty Kube. Included are chapters about supernatural feline lore and cats that haunt hotels, along with the friendly kitty ghosts who visit former owners. If you are looking for a really fun and fascinating Halloween read, check out Ghost Cats. These kitties will give you goosebumps! Buy Ghost Cats in print or on Kindle on Amazon. Our mom would just LOVE this book. It’s purrfect for this time of year. That looks a really great book Summer, thanks fur sharing! We are very innerested in this book since there are a lot of ghost cats around herre and we have photo proof. Dusty should have reached out to us. Summer, don’t cats haunt their people while they are ALIVE?!? You always look so pretty!! Oh I think it will be great fun. Mom said she felt Admiral get in bed several times….and push open the door. Oh, scary. Mom tries to stay away from the scary stuff, she says it gets stuck in her head! 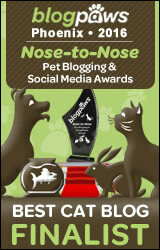 This sounds pawsome! I had thought it was a fictional story but I love the idea of multiple stories that are true plus the added facts and lore. Thank you for the book review this is definitely one I’m going to get and gift one too! Mommy is one big scare-d cat! We’re reviewing this tomorrow! Loved this book…especially Little Joe’s story! That sounds like a spooktacular read. Thank you for sharing your review! That sounds like a great book. I am always looking for more “prof” that our kitties that have left us on earth are still with us. Ooh thank you for the review and heads up. I shall nip off and buy this post haste as it’s just in time for Halloween and I need something to frighten the peep… Will you get the commission if I buy through UK Amazon? definitely a good read for Howloween. we’ll have to check it out! Oh dat sounds pawfect fur Halloween! !